My Database app is a powerful tool for Database admin’s and professionals. It allows to manage, create, model and visually design databases. 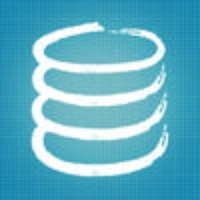 My Database includes everything for browsing, searching, querying and updating all of your My databases, right from your iPad. Supports My v.3, 4 and 5. Powerful database administration tools with an elegant, simple to use graphical user interface. As can visually select tables and fields to query, edit, create tables and databases, drop tables, databases and much more. The visual Command Line lets users build, edit, bookmark and run queries. Also supports syntax highlighting to help write and debug statements. History storing gives you quick access to the last executed queries. Store your connections with Connection Manager. Enables developers to create, organize, and manage database connections. Supports WiFi and connections. Check these links to find your download for MySQL Database for & iOS or for your device iPad. The app MySQL Database is compatible with te following devices.